If you are planning on installing your video surveillance system yourself, then there are a few things you will need to know. To begin with, you will need to have an understanding of the different types of cables that are available and used with most systems. Usually cables must be purchased separately from cameras and DVRs and even if you hire a professional installer, they may require that you provide the cables yourself. The type of cable you will need will depend on the cameras you are using. We have provided a quick rundown of the most common types of cables to help you determine what cables you will need for your surveillance system. Siamese Cable– These are the most common type of cable. It combines two types of cables into one. RG59 cable is used for video and 18/2 gauge power cable is used for the power source. These cables should have a copper core to make the transmission of video the best it can be. RG59 Coaxial Cable– This cable has two types of conductors with the same coaxial orientation. Each conductor is separated from the other with an insulated covering. The conductors are then bound together by another cover to keep out water and other harmful elements. This cable is used to transmit high frequency signals and is also used for cable TV. 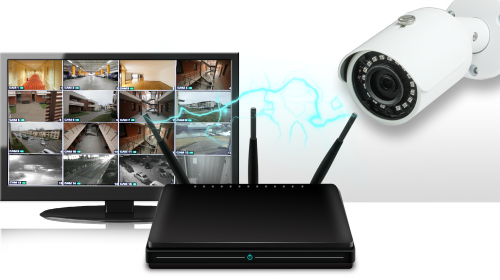 It is most often used in CCTV systems but can also be upgraded to network cameras. BNC Cable– Most commonly used with CCTV cameras, this cable operates as both a power cable and video transmitter. It has a male connector at each end that is used to connect the camera to the DVR and power source. 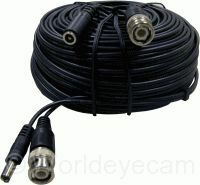 Usually the camera and DVR will have to be within close range of each other for this cable to be used. Cat 5/5e/6 Cable– An Ethernet cable, Cat 5 is a twisted pair cable that transmits signals. This is a standard network cable used for most IP video systems. 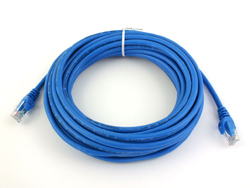 Cat 5 cables have a 100 meter range but can be extended with LAN and Power over Ethernet extenders. Cat 5e and Cat 6 cables are enhanced versions of Cat 5 that allow for a higher network speed.